Answer: Yes, these feelings are absolutely normal… they’re also not very healthy. If you think it’s strange that you have these feelings, you’re not alone. I was bullied throughout junior high and high school. Like you, I was slapped, kicked, punched, headbutted, threatened, and insulted. I’m more than twice your age and I’ve resented my former bullies for decades. Then one day, I figured out a way to let those toxic feelings go. How did I do it? Forgiveness… but not in the way you might be thinking. So you have resentment toward the people who hurt and belittled you? Congratulations! You’re absolutely normal. It’s completely natural to dislike the people who’ve hurt you. Frankly, I’d be worried about you if you didn’t have some negative feelings toward the people who’ve slapped, kicked, punched, headbutted, threatened, and insulted you. 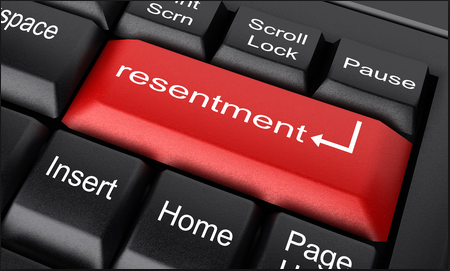 Resentment is a normal emotion, so in and of itself, it’s neither positive nor negative. Unfortunately, we’ve been conditioned to feel guilty for these so-called “negative” emotions by society that numbs itself – chemically and spiritually – from its emotions. Although I wasn’t there for your high school experience, I’ll bet I can guess what happened. These kids tormented you in the ways you described yet you did nothing to stop them. You didn’t stand up for yourself when you were under attack. Maybe you were scared, or maybe you lacked the self-confidence. Whatever your reason(s), you didn’t do anything the stop the abuse and, deep down inside, you’re angry with yourself because of it. Are you with me so far? Good! Stick around, because here’s where it gets tricky. Being mad at oneself is a difficult thing for anyone to come to terms with. Shame and self-loathing are very difficult emotions to bear. Our minds often seek refuge from these haunting feelings. Unfortunately, what we often project our uncomfortable self-revelations onto others, then hate them for it. This process of projection and devaluing is our way of compensating for our negative self-feelings. This does nothing to alleviate the original resentment we have for not standing up for ourselves when we should have. I’ll bet your thinking this is the part where I tell you that you need to “forgive your bullies,” right? It’s not. In my opinion, they don’t deserve your forgiveness. The person you need to forgive is yourself. You need to forgive yourself for not having the courage or the assertiveness skills to stand up for yourself. It’s nothing to feel guilty or ashamed. Not everyone’s parents encourage their children to cultivate these skills. This is typical for children in abusive and dysfunctional homes. It’s no small coincidence that these children often become the targets of bullies. Feel free use it as is, or create one of your own. If your stuck, do a simple good search for “self forgiveness mantra.” You’ll find plenty of daily affirmations that you can use to help heal yourself from the past. When you do do these, you might feel a little silly at first, especially if you weren’t raised to have self worth. No matter how uncomfortable it might seem, keep with it. The more you do it, the better you’ll get it. 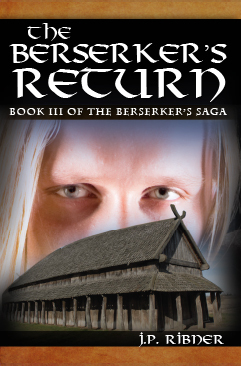 Soon, you’ll feel the weight of your resentment disappear. 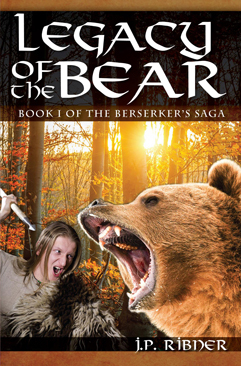 J.P. Ribner is the author of The Berserker’s Saga, a Viking fantasy adventure series featuring a bearskin-clad hero. 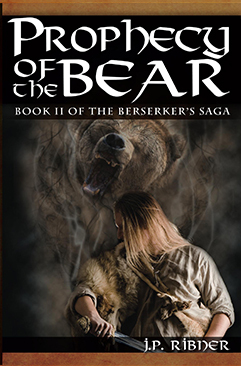 The saga features three novels – Legacy of the Bear, Prophecy of the Bear, and The Berserker’s Return. A product of Flint, Michigan’s local alternative rock scene, J.P. plans to release his next book, Wasted Youth: A Flint Punk Rock Memoir sometime in 2018. He lives in the Metro Detroit area with his wife and sons.